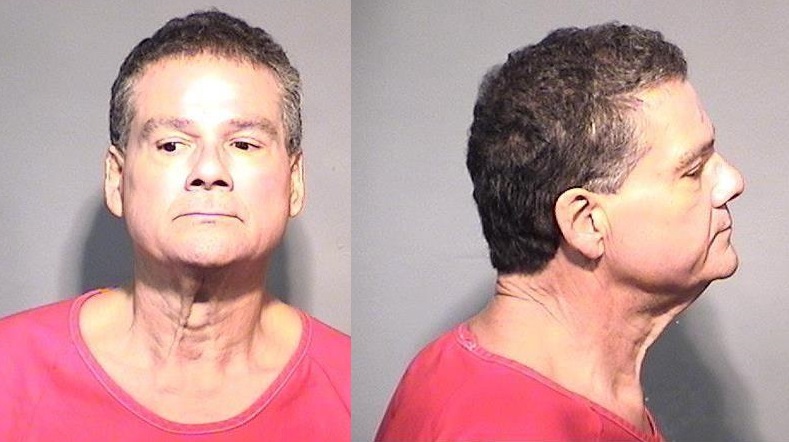 COCOA BEACH, Florida - The Cocoa Beach Police Department announced on Tuesday that 58-year-old Leonard Nelson Lopez, of Merritt Island, Florida, has been arrested and charged with manslaughter in the death of John Charles McLean, 53, also of Merritt Island. McLean was found unresponsive in Lopez’s blue 2005 Lincoln Town Car Friday evening, September 2, 2016, in the parking lot behind of VFW Post 10148 located at 150 Minutemen Causeway in Cocoa Beach, Florida, with a gunshot wound to his head. Cocoa Beach Police Detectives say that they developed probable cause through their investigation to obtain an arrest warrant for Lopez, who was subsequently taken into custody without incident at his residence on Monday, September 5, at about 9:00 P.M.
Lopez was charged with manslaughter and is being held on a “no bond” status at the Brevard County Correctional Facility in Sharpes, Florida. The investigation remains ongoing. Anyone who may have information pertinent to this case is asked to contact the Cocoa Beach Police Department at 321-868-3251.